If you picked up a Samsung Galaxy S5 today from a carrier partner in the U.S., then you are more than likely already overwhelmed by the amount of bloatware installed on your device. For example, on the Verizon variant alone, we’re pushing 20 pre-installed apps that I will never use. From Big Red’s ever-growing list of VZW apps to the pre-loaded suite of Amazon products, it’s a bit much. Thankfully, Samsung keeps making it easier and easier to disable these bloatware apps, since many can’t be fully uninstalled. Below, we’ll talk about the two ways you can quickly disable/hide those unattractive carrier-branded apps. 1. 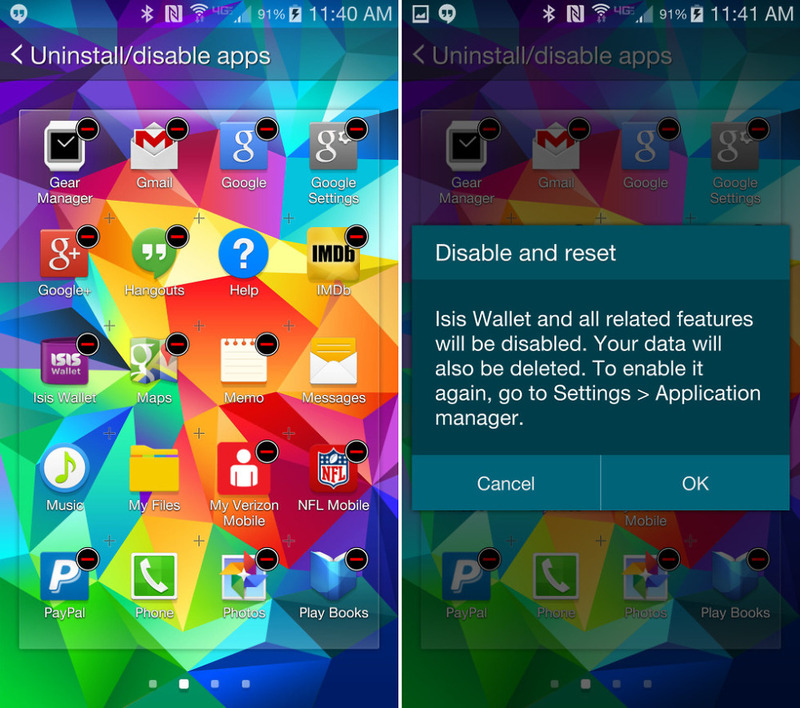 From within your app drawer, press and hold on a bloatware app you want disable. 2. 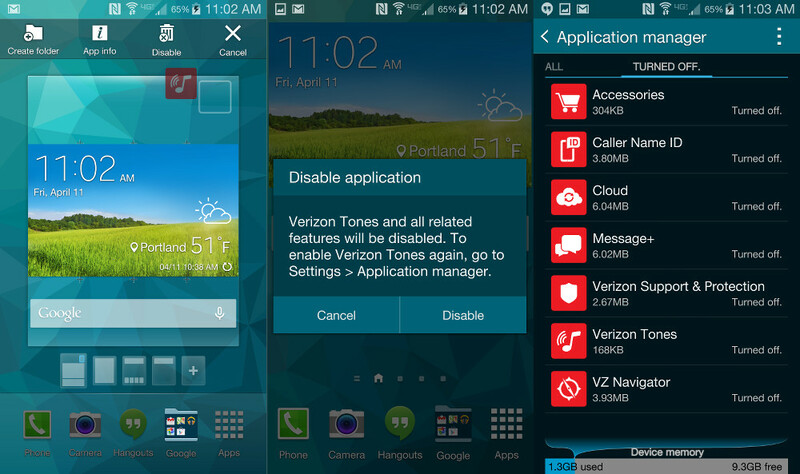 With the app held, your home screen should appear with 4 options up at the top of the screen. 3. Drag the app over the “Disable” option and let go. 4. A pop-up should appear asking if you want to disable the app. 6. That app is now disabled and hidden from view. 2. Each app that can be disabled or uninstalled will now show a minus symbol. 3. Tap the minus symbol for all apps you wish to go away. 5. Press that button, then repeat those steps for all apps you want to go away. FYI, both of these methods can be used to quickly uninstall apps as well. If you’d like to re-enable apps, you can find them in the far right column under Settings>Applications>Application manager>Turned off.